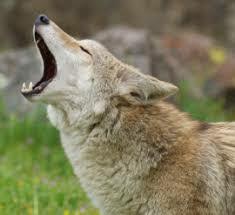 Tricksters, Magicians, Comedians are all hidden in the energy of COYOTTE. They are Mercurial, traveling back and forth between higher realms and us, delivering MESSAGES with a twist. If they appear to you on a walk or a drive there is wisdom delivered to you in a most unexpected way and it is up to you to implement it into your life. 5. Walk together with your neighbors. This way your dogs can have more fun, socialize, and you can catch up on what is happening in your neighborhood. 5. Make sure you explain to your dogs that this is not a dog and they can’t play with it. My baby Sophie thoughta huge coyote was a dog and would not move until she said hello. However my baby Benjamin barked at a coyote until it ran away.